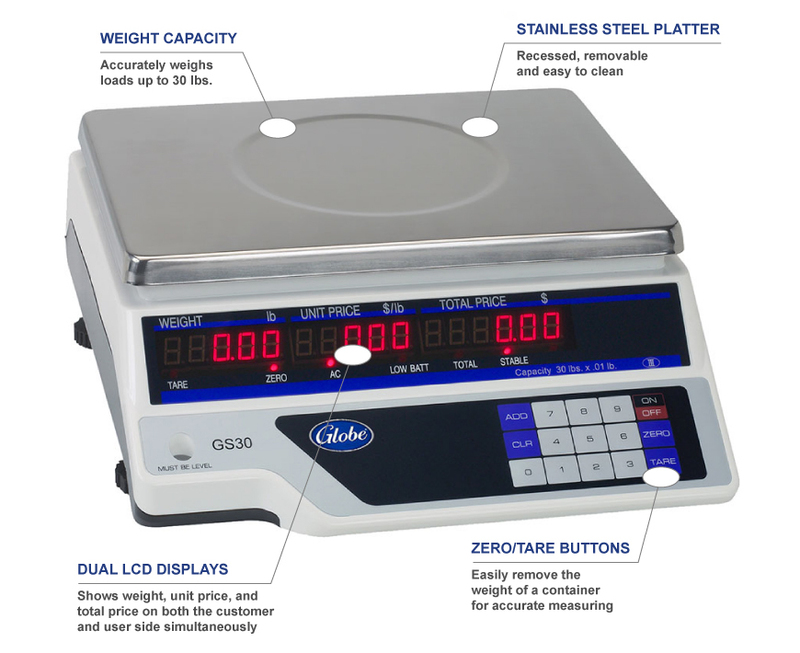 Globe's GS30 scale is designed for weighing meats, cheeses, and other fresh products at full-service deli counters and similar venues. 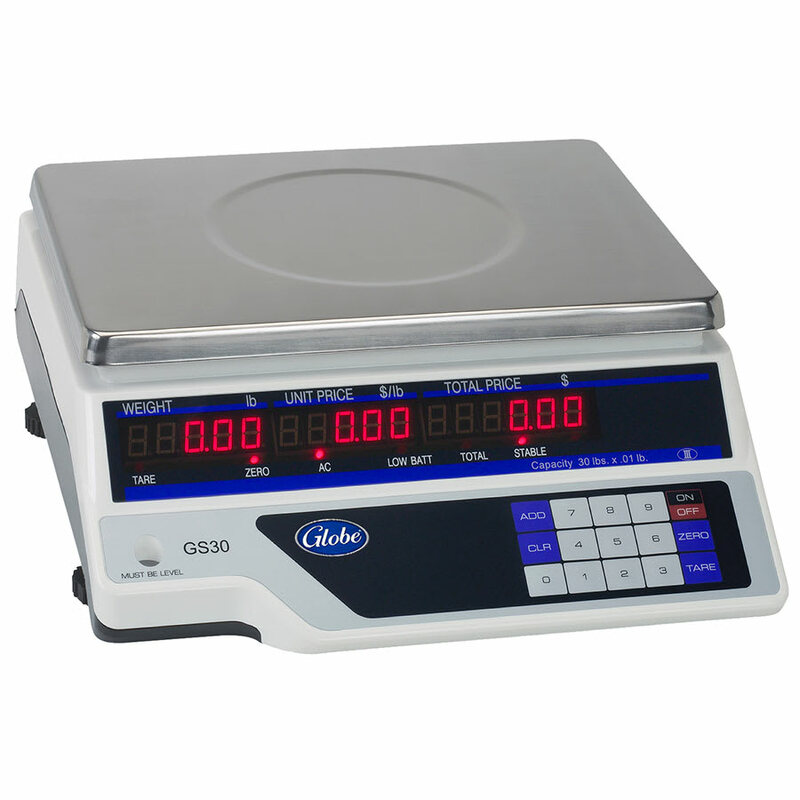 It can handle loads as heavy as 30 pounds and displays weight, unit price, and total price to both the customer and user simultaneously on its dual LCD displays, which feature .63-inch digital numerals for easy reading. 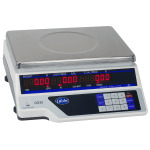 This legal-for-trade Globe GS30 scale includes a rechargeable battery so it can be transported and used when no electrical connection is available. Accurately weighs loads from .01-lb. up to 30-lb.